Feeling like you need some space? 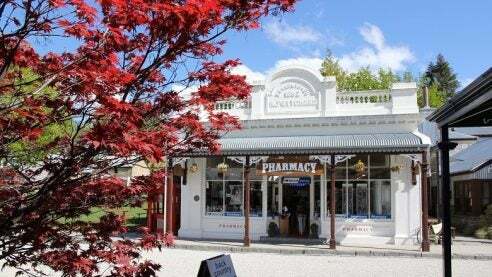 New Zealand is one of the most remote countries in the world, and it’s home to some truly vast landscapes. Plus, only around 4.7 million people live there, which isn’t much by global standards. 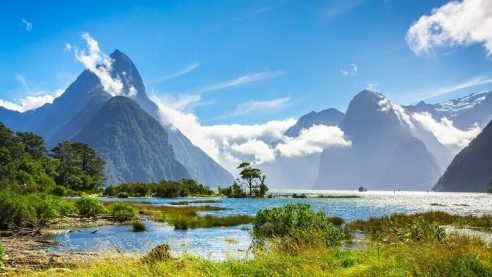 Spread across two islands, New Zealand has got the best of both worlds; there are trendy cities like Wellington and Auckland on the North Island, and stunning mountainous scenery (e.g. the Southern Alps and Fjordland) on the South Island. Expat life with the Kiwis is as fun as it sounds. Shipping your belongings to New Zealand is easy; you just need to decide how you are going to do it. The two main options are air freight and sea freight. Air freight is the choice for people who are moving in a rush. A cargo plane will get your things to New Zealand from anywhere in the world in just two to three days. However, it’s also very expensive, so you’re paying a proper premium for the speedy service. Unless you’re having to move abroad last minute, air freight is best avoided. On the other hand, sea freight is significantly less expensive, typically costing around five times less than air freight. This makes it very handy for people who are relocating on a budget. A container ship travels much slower than a cargo plane and will usually take several weeks, so be sure to plan your move well in advance. In terms of value for money, sea freight is a much better option. If you do choose sea freight, your items will be shipped in either a 20ft container or a 40ft container. You don’t have to fill the whole container with stuff; if you’re bringing no more than about 15 cubic metres of cargo, you will share the use of a container with other people. This is a process called Less Than Container Load, or LCL. The majority of our shipping suppliers will ship your things door-to-door, which means they’ll take care of the whole process from your old front door to your new one. The biggest container terminal in New Zealand is the Port of Tauranga, situated at the northern end of the North Island (on the Pacific Ocean). 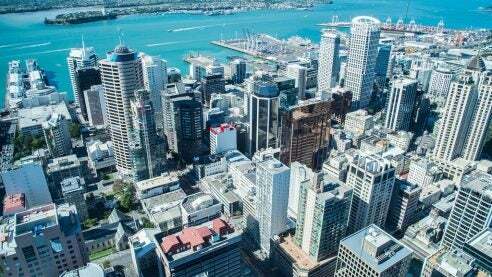 If you’re moving to Auckland or Wellington, your container will be shipped to the Port of Tauranga, then taken by truck and/or train to your new home. 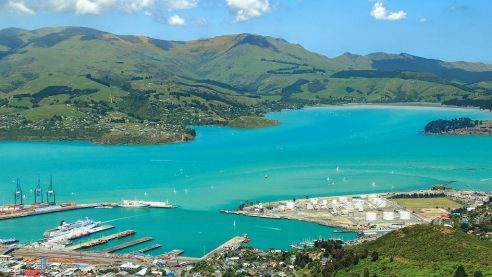 Meanwhile, the biggest container terminal on the South Island is the Port of Lyttelton, which is handy if you’re moving to Christchurch (it’s right beside it). Any customs process can seem a bit daunting, but our experienced shipping companies will guide you through it. Most importantly, you need to create an inventory (i.e. a packing list) of all the items you’re bringing into New Zealand. The Kiwis run a very strict quarantine system, which means almost all shipments are physically inspected. Risky items include animal products, wooden furniture, garden equipment and vacuum cleaners. See below for an idea of what’s restricted or prohibited by New Zealand customs.